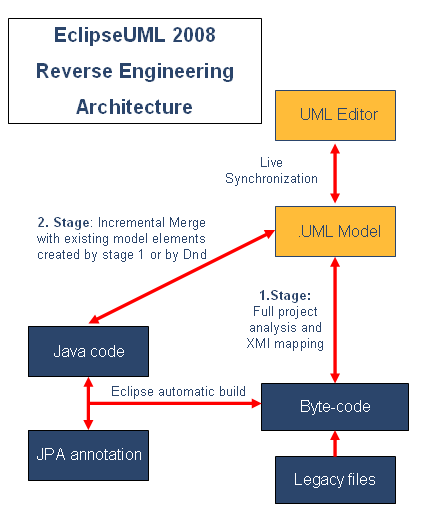 UML model reverse engineering is a complex processes which first detects all information from the code and then map it immediately to the UML editor and the UML Model. 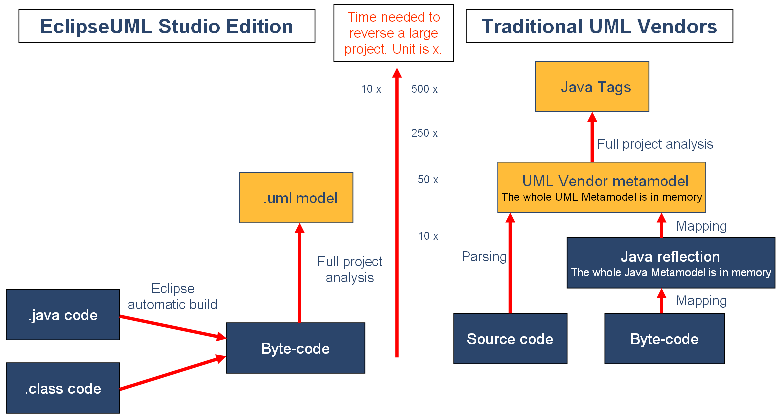 Working directly at byte-code level and mapping all information to .uml model file allows incredible speed and flexibility. It is three time faster than writing tags in the code and 20 times faster than using a transition model such GMF. This is a research study of the time needed to reverse large java projects. XMI backup will map all java information to .uml model. More information .. Dynamic navigation will only map java classifiers which are displayed inside diagrams. More information.. Merge Model will merge new code with existing model. It keeps existing information safe as well as updating classifiers. More information..